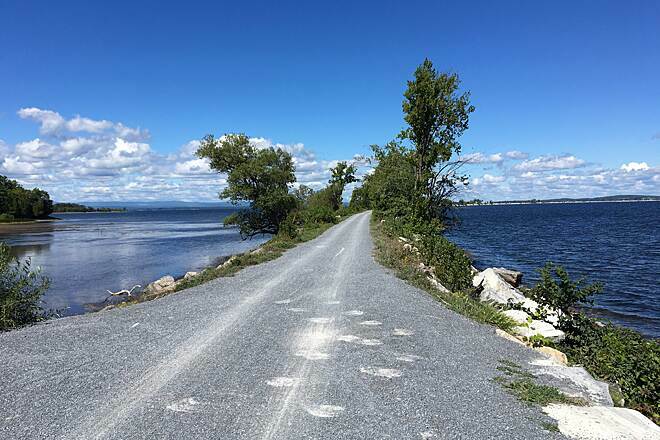 Lake Champlain virtually laps at your feet for long sections of the 13.4-mile Island Line Rail Trail. 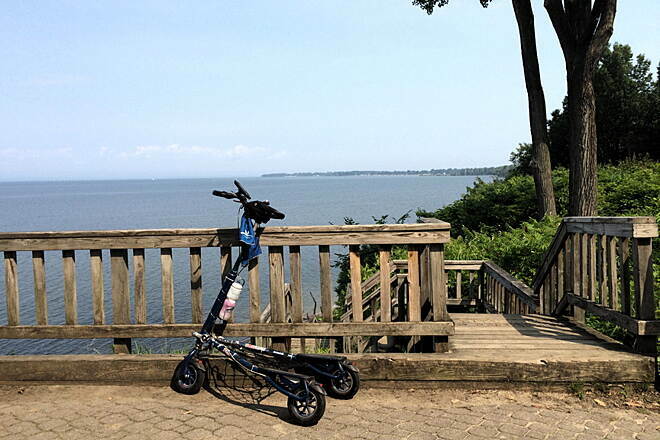 Rolling through waterfront parks in Burlington and Colchester, the trail crosses the lake on a spectacular 3-mile causeway that requires a ferry ride to cross a 200-foot gap to destinations on South Hero Island. In 4.5 miles, you come to a boardwalk through Delta Park and a 600-foot pedestrian bridge over the mouth of the Winooski River. 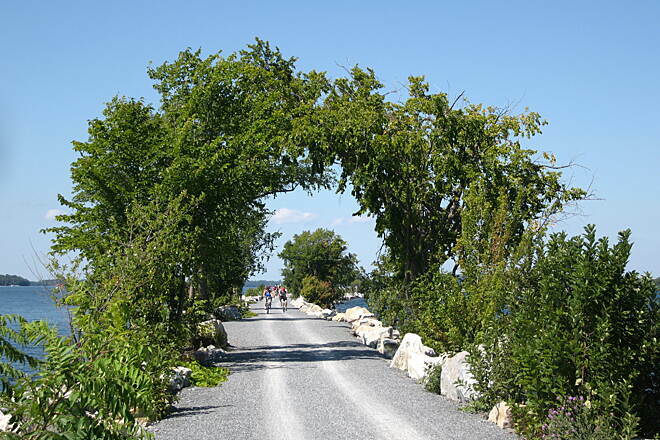 Here the trail becomes the Colchester Bike Path and Causeway. In 2.4 miles, after passing Airport Park, you come to the marble causeway that many consider the highlight of the route. American elms rise from the shoreline but don’t interrupt the view east to the Green Mountains or west to the Adirondacks. At 2.7 miles, the causeway ends at The Cut, but you can ride a ferry on weekends and holidays in the spring and fall and all week in the summer. (Find rates and hours at localmotion.org.) The trail continues for another mile once you get to South Hero Island. To reach Oakledge Park in Burlington from I-89, take Exit 13 onto I-189 toward Shelburne/-Burlington. Follow I-189 W 1.4 miles, then turn right onto US 7. 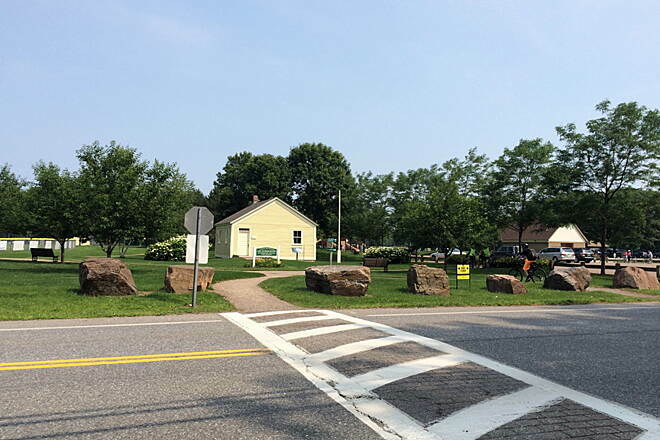 In 0.5 mile turn left onto Flynn Ave., and follow Flynn Ave. into Oakledge Park. Parking is at the end of the road in 1 mile. To reach the Airport Park trailhead in Colchester from I-89, take Exit 16 onto US 7 N/US 2 W toward Colchester. Head north on US 7/US 2, go 1.7 miles, and turn left onto SR 127. Go 3.7 miles, and continue straight on W. Lakeshore Dr. 1.8 miles (it becomes Holy Cross Road after 0.8 mile). Bear left slightly onto Colchester Point Road, go 0.6 mile, and then turn right into the parking lot (just before Buckingham Dr.). To reach the northernmost parking in South Hero from I-89, take Exit 17 and head west on US 2. Go 8.5 miles, crossing over Lake Champlain, and turn left onto South St. In 2.5 miles turn right onto Martin Road. Go 0.3 mile, and turn left into the trail access road. Look for parking to your left. Beautiful trail. I would suggest parking at the Causeway Bike Path Parking lot. We parked at Oakledge Park and headed out. Very busy in a few spots. Never actually made it all the way to the end, we were about 3 miles shy. When we arrived back at our vehicle we had a little tag on our windshield as did many other cars stating we parked without a pass and needed to pay. We rolled right in the park and NOWHERE did we see a sign that said you needed a pass or pay to park. Otherwise the trail is very busy but really beautiful and not too hard. Since I left for college my home town of Burlington, Vermont has developed with thoughtful civic prosperity. 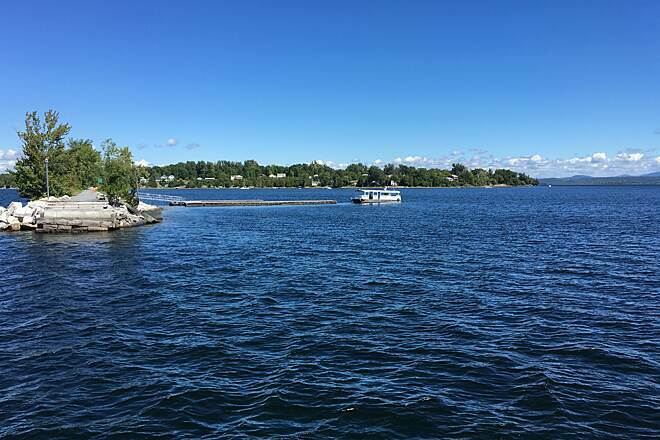 One element of this peaceful, intelligent town is vast improvement in the public interest of the spectacular waterfront along Lake Champlain ("The West Coast of New England"). World class facilities are taking shape on the edge of this iconic water that was once part of an inland sea. There is a deeply nuanced museum (ECHO) for families that interprets the wilderness that is the lake and its many tributaries. There is also a very nice skateboard park and open recreational spaces. My dad and I chose the waterfront park as our starting point. This is a nicely paved section that rides fast and polite. Although I saw quite a few full dog waste bags along the sides of the trail I did not see any dogs in 22 miles of riding, and no waste on the trail. Very quickly all signs of the city almost vanish and having escaped the shelter of the harbor breakwater one starts to notice the subtle sound of waves lapping against the beach to the west. April is a great time to ride this trail for the diversity of flora and fauna. The birds were spectacular. We took a short break at North Beach and met up with my best friend of 40 years and continued our push to the North end of the causeway. He encouraged us to pause and absorb our sacred lake. When you grow up on a major body of water it dominates every fiber of your soul. The power of water cannot be underestimated. It's physical properties defy our best efforts to control it. Bowing in respect for this energy we established cadence and a pedal drive North. The sky was cold sapphire blue. Also spectacular were the Ice formations that encased the west side of the causeway after we crossed the Winooski River on a rusty but happy Iron truss bridge. What was spectacular in a relatively cold and slightly discouraging way was the 40mph cross wind we had to fight all the way to the winter terminus of the causeway. In summer there is a little pedestrian/bike ferry that jumps the old swing bridge gap and allows riders to access South Hero and Grand Isle. Anyhow, we battled the wind at a 5 degree cant. All of us leaning into the wind and hoping it wouldn't throw us in the lake or on to the causeway fill off the side of the (very nice) smooth cinder trail. There is no easy emergency exit at any point on the causeway. You are almost guaranteed a trip to the hospital if you wipe out and go off the trail. Please be very careful on the Causeway, especially with children. There is a lot of opportunity for self destruction caused(wayed;-) by inattention. It is a wilderness experience in the city. We eventually reached the swing bridge pier. Staring out over the north country virtually speechless for the privilege of the experience. Reconciliation of my relationship with Burlington...with my childhood. I now know that I do not need to worry about returning to my birth home. Hiding out west for 28 years gave me perspective on what I left behind. What I see in my home state is the prospect of adventure, and I hope to get back a bit more frequently in the next 28 years. When I moved West I found sanctuary in the vast wilderness, climate diversity and sparse population centers. It was a huge change from living in the Northeast. Now, the Northeast has changed dramatically. The population has embraced technology and the impending, changing future. Everything seems fresh with fresher on the way soon. New open space is becoming accessible every day. It is inspiring to see how the communities of New England have embraced their history, and continue to innovate without forgetting the cultures that led to the development of the region. When I used to run this trail for cross country, skiing, and track in high school, it was unrefined. Now it is becoming a capstone of the Burlington waterfront. The surfaces are much better than they used to be. The vision is forward. North, South, East and West. 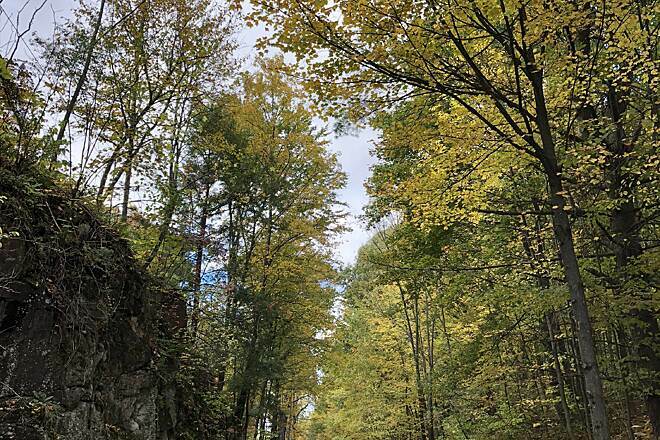 There is no reason that Vermont cannot be completely connected by rail-trail and bike paths and rural roads. Forward is the direction of bicycles. As we returned to my dads house I reflected on my 28 years absence from bicycling in Vermont. At 5 years old my dad bought me my first bike, a chopper with a banana seat. It was yellow. A few wrecks in the driveway and I was off in to traffic. I never felt so liberated, such freedom. We moved to the city because my dad didn't want to commute by car. He rode his bike or walked to work almost every day of his teaching career. I know where my half my heart came from. BMX came in fast and I couldn't afford a new bike in that era because my family moved to Europe and that was expensive. When we returned BMX was losing popularity so I (my Dad) bought a Peugot road bike. 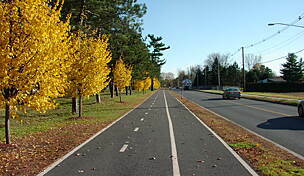 I road that bike on what was called the "Burlington Bike Path" hundreds of miles. I road all over town on that bike for four years. Then along came mountain bikes. By this point I was working almost full time, so I was able to save enough money to buy a Specialized Rock Hopper Comp (forest service green) 1988. I still ride it, and it is worth considerably more than the 689USD I paid for it. Best bike ever. I rode that one in Vermont, Oregon, Washington, Montana, Arizona, New Mexico and Idaho. Now, I think Carmen is slowly moving towards retirement. It is hard to retire a bike. That bike took me from high school to prosperity. Not the same thing as putting down a loyal pet, but that bike was my wingman in the early years of my adulthood. So, back in Burlington...pre-ride. I have no bike. I flew out so it just made more sense to rent one one in Burlington. I am weak, so I just wandered into my favorite outdoor store, found a very well priced (gravel grinder) crossover and bought it. The staff were almost jealous. Everyone had their eye on this bike. Now I have to justify it to my wife. Truth be told I bought it for selfish reasons--I wanted it. Secondary is my justification, which is sincere. Health. My dad is 75. 76 this July. He had no problem riding the 22 miles in 6 degree 40mph wind. I have two sisters that have four boys total, all between age 10 and 14. All about as tall as I am. Between my sisters and their spouses, and the nephews, there are 8 people who can ride this bike with my dad. It is a chance to bond and breathe a bit too. This bike is bigger than any of us. The Island Line Trail is a work in progress in the context of the greater effort to connect our continent with smooth, car free cycle zones. 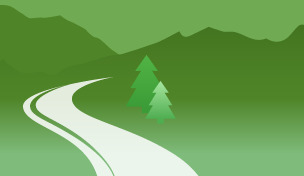 Imagine, if I didn't need to own a car I could easily take an extra month off each year, and travel by bike to Vermont. Each time I would buy another bike and still be money ahead to eat at many fine restaurants along the way. My only fear is the mid west. 1000 miles of mono-culture, and it runs 1000 miles north south too. There is no escape from the swing of catharsis and boredom in these situations. Perhaps a quick stop in Colorado is required before dropping into America's skateboard ramp. If you don't use your breaks you can roll clear to the Mississippi. I hope the larger message has come across in this post. I wish for all bicycle enthusiasts to see it as a venue for maintaining quality of relationships with friends and family until health eclipses intention. Until that impasse I will try to keep all of my loved ones active. This trail is one of our all-time favorites because of the section through the lake. Even the short ferry ride was interesting. Cannot believe how scenic, and Burlington was so neat. If I would have one negative thing to say - so few bathrooms. I love this bike trail. 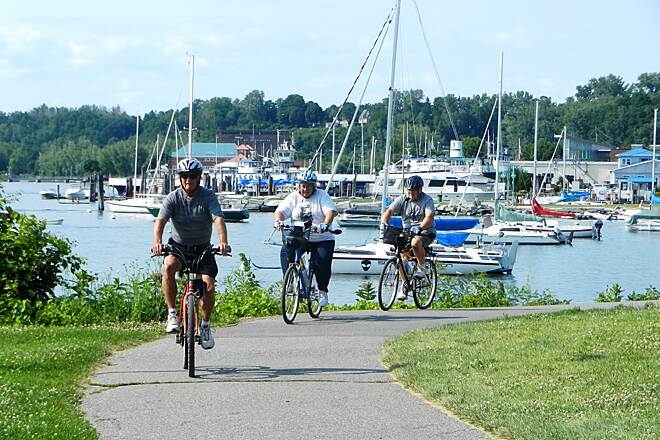 It is a great resource for commuting and recreation in Colchester and Burlington. I want to share some updates on the construction. Burlington Parks & Recreation continues work on their major renovation project for this trail. The section that was done in Phase 1 is awesome. 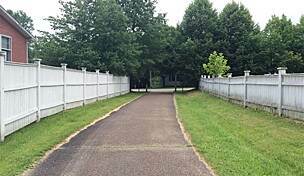 The paved 11' wide path is flanked on either side by 2' of aggregate material for runners. Phase 2 is well under way. Paving starts September 12. Since June, there has been a detour along North Ave to bypass the section from Shore Road to North Ave Extension. The detour will be in a different section starting mid-September. Coming from the causeway - North Ave at the water treatment plant. Have to ride on North Ave for a couple of miles - either on road or sidewalk. Plenty of signs letting you know where to go. Well used rail trail - a lot of walkers down by the skate park and waterfront park. The construction mentioned in previous reviews is now complete. There is a Bike Path Rehabilitation project currently under way. As of this writing (December 1, 2016), the Burlington Bike Path is closed to ALL traffic from the Skatepark to North Beach. The detour is pretty well marked. From the south, detour using Depot St. to North Avenue. From the north, use Institute Road to North Avenue. See http://enjoyburlington.com/burlington-greenway-project/ for latest update and a map of the detour. This trail is amazing with beautiful scenery along the way. I rode the trail just before labor day and the weather was perfect. I started in Burlington and went to the Island and explored for a couple of hours. The small ferry connecting the causeway was quick and easy and the crew friendly. Rode this trail in early August and it was awesome. Started in Burlington, VT and over the Causeway to the ferry. The Causeway is the most unique section we have ever been on. 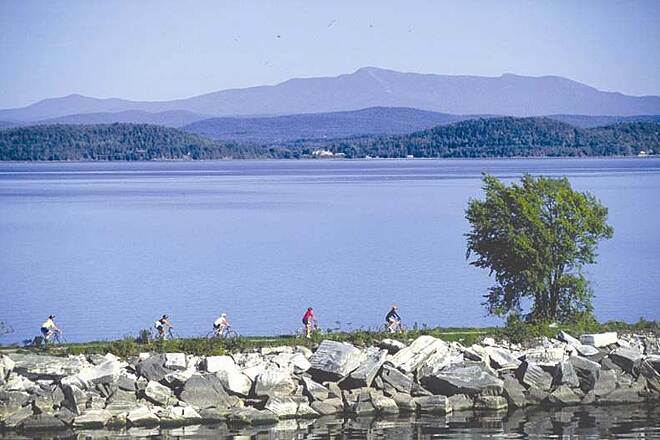 You are actually riding across a section of Lake Champlain with views on both sides. The pavement is crushed ciders, and was no problem for 28mm and 35mm tires. I saw many road bikes with even narrower tires, and they were not having problems. Took the short ferry (5min.) across the ditch to South st. and on to South Hero. Take $8 to ride the ferry. There really isn't much to see over there, but it is a nice country road. Maybe following West Shore Drive to the Grand Isle ferry might be nicer. Have to do that the next time we are there! Had a great time with my girlfriend biking this trail. We started in Waterfront Park and headed north out of Burlington. The trail was paved but a few areas need some work to smooth out the bumps for those other than bikers. We have hybrids and the front shocks helped to smooth our ride. 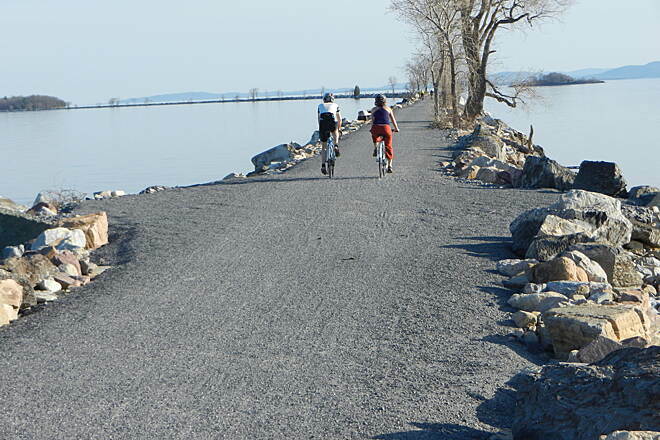 The trail starts off with pavement then transfers to gravel to crushed stone when over Champlain. The Ferry costs 8.00 per person round trip and gives riders a nice break crossing the channel. We rode all the way to South Hero (intersection of Rt-2) for some rest, drink and food. Had a great time for our 30 mile round trip experience. This trail is mostly paved and is fun to ride. It's full of beautiful scenery. There is a kayak rental place to stop and relax. You can get snacks and drinks also. The bike ferry to the island will cost $8 round trip per person. By far, one of the best places we've ever biked. The causeway was stunning- great views and pretty flat to ride on. We went on a cold day in April so we saw only two other people along the way. I'm sure it's packed during high season. We didn't finish the entire trail due to bike issues. But we really enjoyed the part that we did complete. 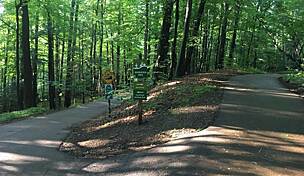 It's a great trail with minimal distance shared with motorized vehicles. Cracks, ruts and gravel... Oh my! 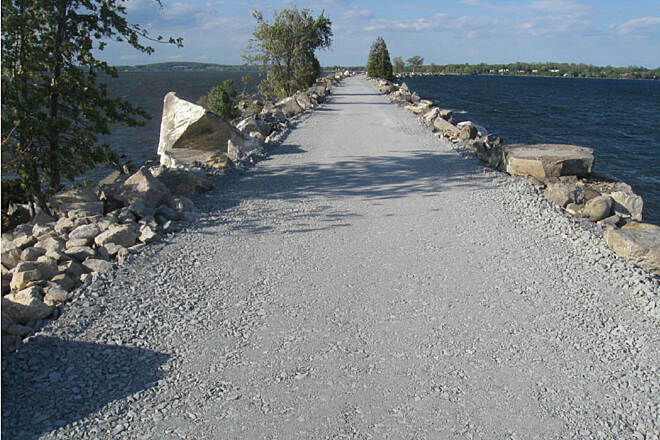 This path has a lot of potential and sports nice views of Lake Champlain, but the paved surface is inconsistent making it a challenge for a person riding a Trikke or inline skates. The good news is that they are in the process of resurfacing the trail. Once it is finished, it should be great. We've done this many times and stay at the North Beach Campground right off the trail. 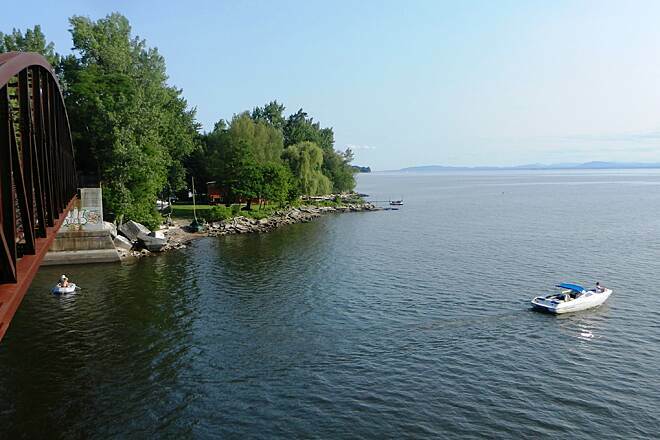 How wonderful it is to be on top of the water and fantastic views of Lake Champlain. I recommend this to everyone! We have ridden lots of trails in various states, including along the coast of Florida. This trail was by far the most beautiful. The only disappointment was the bad weather on the weekend that kept us from going on the ferry. The Island Line Rail Trail is absolutely wonderful from start to finish. I rode it on a weekday, and there were very few users on the path. The path is well maintained crushed stone for most of the ride, except for a paved area that runs through a residential neighborhood. 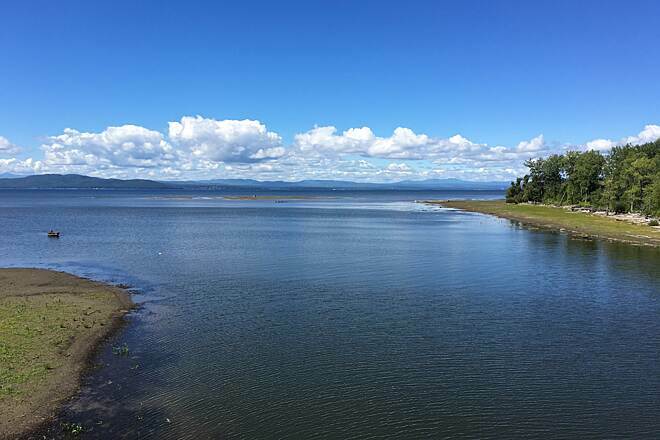 The trail cuts through Lake Champlain, and it's a magnificent experience to have water on both sides! Consider bringing a picnic, or taking a break to sit on the boulders on the side of the path. Also, there is a beautiful white sand beach along the path down a large flight of steps that is worth a stop. This was a ride we'll never forget for all sorts of reasons. We stayed at North Beach, Burlington's Municipal campground (very good, and right on the trail) and went north and south on different days. We went north on a wet, misty day because the next day was suppose to be very rainy. We discovered the causeway to Grand Isle by accident - just spotting the signs. We took the "ferry" (pontoon boat over a 20 yard (?) cut) and went to Allenholm Farm for Maple Cremes at the recommendation of the ferry pilot. While there, wet as rats sitting on the farmstand porch, we spotted one of the former Saturday Night Live actors with his family! (Yes, we left him alone.) The headwind and drizzle going back made us seem more "brave" than we were. Camp supper never tasted so good. Last Summer on a bight sunny day with lots of wind I did this beautiful trail. I did not have time to do the Ferry loop but I will be back to do it. All I can say about the view is O.M.G. 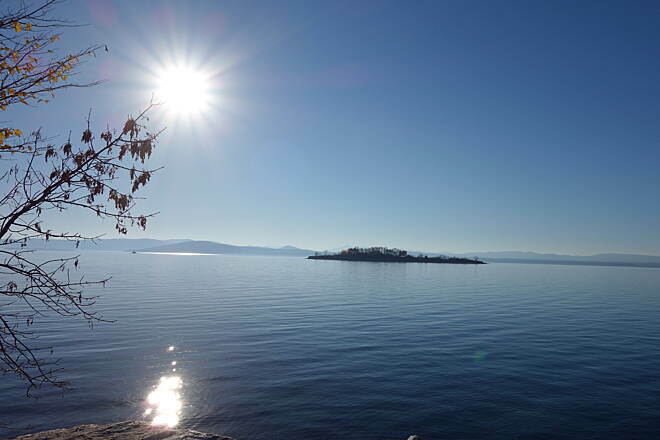 Lake Champlain is as beautiful as it gets. Anybody that complains about this trail needs to get there HEAD EX-AMENDED. I can't wait to get back to do the Island loop. Oh yes I did this on a very old Mt Bike with a town & country tire but you could do this on a Road Bike. Undoubtedly among the most beautiful bike trails in the country. Visitors from around the globe time their holidays to coincide with the Local Motion Island Line Bike Ferry. 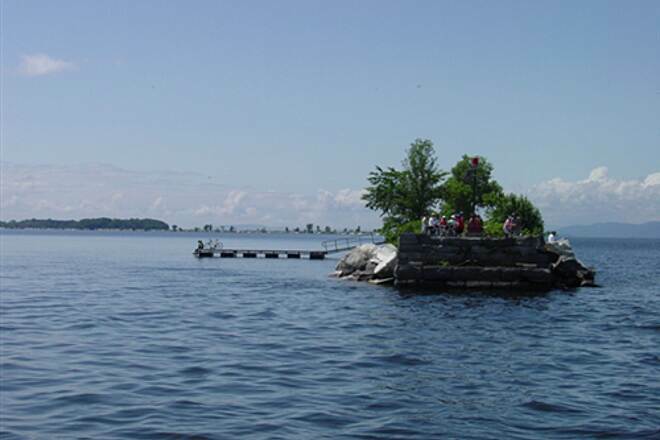 Try the 3 ferry loop that circles the northern part of Lake Champlain. I rode the entire trail from South Burlington until the break in the Causeway where the ferry runs. 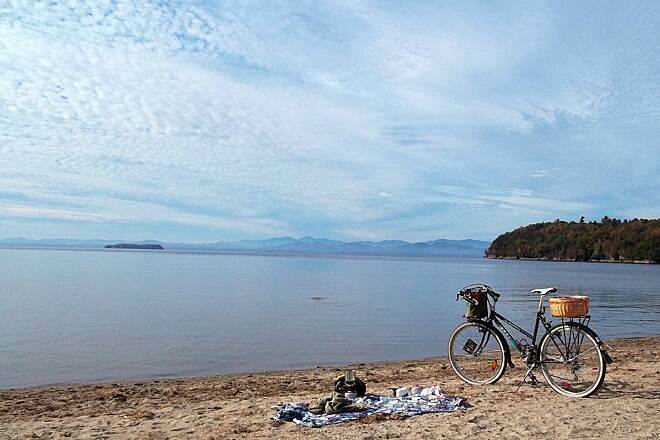 It was absolutely beautiful riding along the shores of Lake Champlain and seeing the Adirondacks in the distance. Highly recommended for any and everyone! How am I even going to top this ride? Due to a jazz festival downtown we got on at Liddy Park. First "wow" moment was to the tressle bridge we rode to after a mile . Great height & views. The ride out to the "cut" from the Colchester parking area is the best ride ever. The temp was mid 80"s-unlimited visibility-endless sun. WOW. 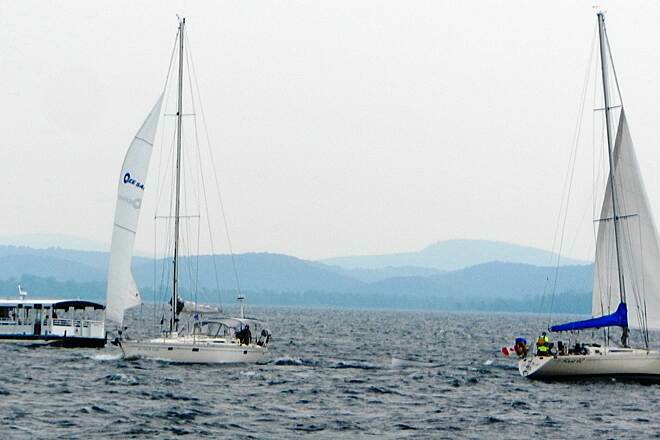 I can not describe Lake Champlain well enough but I hope spectacular does it. We just stood in awe. The festival and great weather(beaches) generated some congestion but if you rode the Cape Cod Canal near the railroad bridge it was no worse. We rented a private home above the city and walked downtown every day. Took in a sunset cruise on the Spirt of Ethan Allen III-fantastic. Great city--great ride. Going back!! Very scenic bike trail....worth it! I have done this trail in the past and it's a beautiful trail! Too bad I am 4 hrs away. I don't know why people would give this less than 5 stars- just because it can get congested- that is not the trail's fault. It's common sense that a popular trail would be crowded, rate the people not the trail. 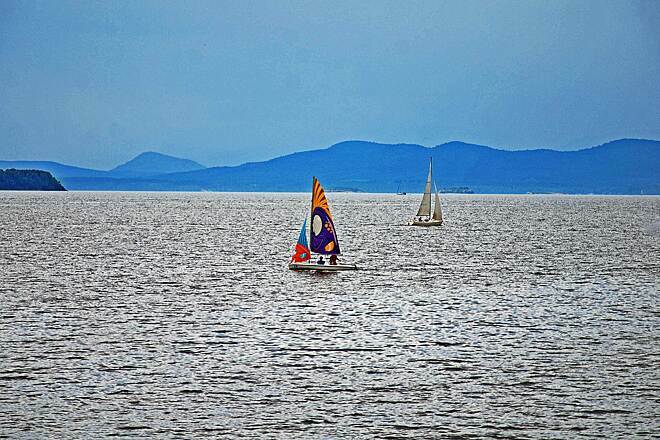 This is so breathtaking, esp with Lake Champlain on both sides of you, it's like riding on water. You have to do this at least once in your life so take the ride up. 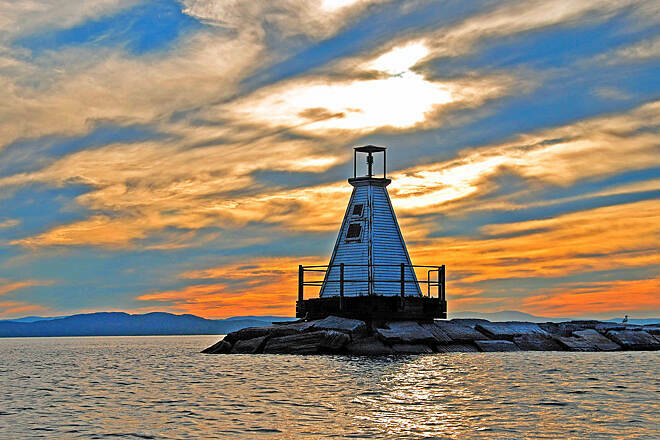 Burlington is also a nice spot to shop, eat, and relax. Great trail for a WEEKDAY ride! We actually rode this trail twice. On the weekday,we parked in Burlington -- note that the directions take you to a paid lot and about 4 miles from the actual start of the trail. Local Motion has great free trail maps, and they are right down the road, literally, from the parking lot. Lots of foot traffic, etc., until you get out of town. The causeway is a great ride, as you are surrounded by water. The bike ferry only operates on the weekend -- so plan ahead. 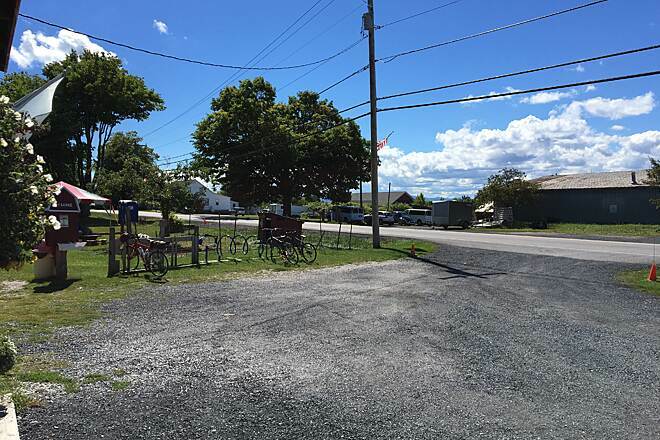 The second time, we started in South Hero, VT and rode from the Grand Isle Ferry Terminal to the causeway, took the ferry over, and then rode to Causeway Park. The trail was PACKED and this was on a Sunday... This trail gets alot of foot traffic, families with bikes, etc. so plan accordingly! We planned a trip to ride this trail after seeing photos of it. They didn't disappoint. This is a trail that is so worth the trip. We stayed at the Grand Isle State Park campground. We rode from the campground to the start of the trail, which was about 6-8 miles away. If you decide to do so, take a left at the first stop sign out of the campground onto East Shore South. Take a left at the intersection of Route 2. Take a right on South Rd., then a right on Martin Rd. About halfway down Martin Rd. on the left is the access point. There's a break in the causeway after about a mile. You have to take the bike ferry over to the other side. The ferry ride is about 5 minutes and costs $8.00 round-trip. The ride across the causeway is unbelievable. For miles, you're surrounded by water and mountains. The trail then goes into Burlington. This area gets a bit congested so ride carefully. It is mostly off-road with the exception of some road crossings. the path widens up, but as in previous posts, the complaint remains with the people(and unleashed dogs) who are in their own worlds and take up the entire width of the path. Yes, being a solo cyclist, it was easier to announce my intentions, but people cleared to the right promptly if they heard. A whistle or bell might help for cyclists with wide cargo. I would love to see the path fixed a bit where there it is narrow and pot hole ridden by the dog park in Burlington. That said, the bike path has been fixed in various places and the causeway is absolutely fantastic, easily do-able(small gravel and packed!) on a skinny tire road bike all the way to the cut. The head wind on the causeway wasn't as bad as expected and there were quite a few people out there yesterday(3-31-13), even a couple fishing off the bridge. Very nice path to ride, except it gets a little congested and is a bit narrow for the number of people in the city limits part. As you get away from Downtown, it opens up quite nice. The best part is the Colchester Causeway with is about 2-3 miles with the lake on both sides of you. Nice job Burlington !!! Ok the hipsters and tourists do get in your way sometimes, and that's why i'm only giving it 4 stars. This improves as you get away from downtown Burlington. That said, this trail offers some of the most spectacular scenery I've ever seen from a rail trail. 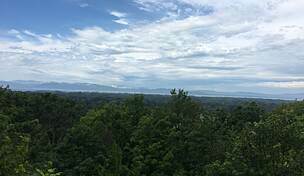 From much of the trail, you have unobstructed views across the widest portion of New England's Great lake, Lake Champlain. If that isn't enough for you, on the causeway at the northern end of the trail, you are in the middle of the lake, on a tiny strip of rocks, surrounded by water, for 3.5 miles (and more when the ferry is operating). It's like riding on the water. An absolutely great trail, nothing more to say. The description of this trail on this website is summed up thusly: "...skirts the waterfront in the hip college town of Burlington." That just about says it all. Staying at a Colchester hotel with the kids, we went out to this trail, and decided to ride it. I ride a Santana tandem with my six year old son and my four year old daughter rides in her Burley trail which we pull behind us. The ride was hardly relaxing at all, because "hip college town" equates to self-absorbed perpetual adolescents who hog the trail. Joggers, rollerbladers, and pedestrians of all stripes are there on this trail, walking in the middle of the (narrow) bike lanes, tuning out the rest of the world with their iPods, so that you have to shout "on your left" about three times before you have to scream it a fourth just to be heard. Then there are the self-absorbed families, hiking the trail two, three, even four abreast, as well as their bicycling kinfolk, riding the trail two and three abreast. You would think with all the tax monies people in the state of Vermont pay, there would be some semblance of trail maintenance. Said maintenance consists of pylons and contruction zone tape. From mile to mile along this trail, there is hardly any consistency of paving. If you love splashing through potholes and spinning out your back wheel in deep sand (as happened in Colchester) whilst climbing a steep and narrow hill, this is the trail for you! By the time we returned to Burlington, we must have had to dismount at least ten times to make the right-of-way to obliviously rude trail users who ought to have been yielding the right of way to us. A single bicyclist could have easily manuevered around such people, but riding a tandem with one child whilst pulling another in a trailer makes for plenty of situations in which this move is rendered impossible without creating a collision. 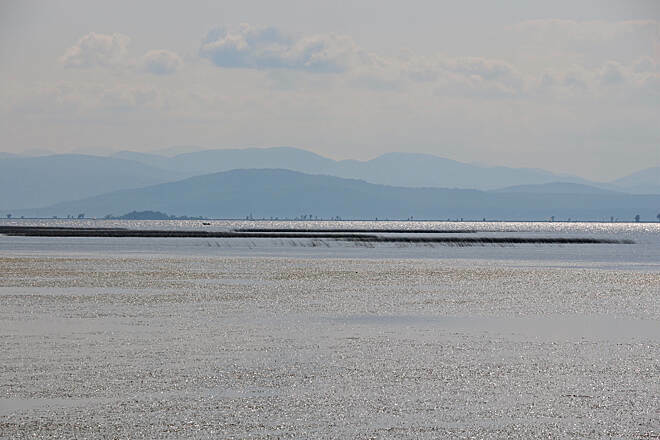 Suffice to say, if you want to get a gander at the beautiful Lake Champlain coastline in Burlington, do it on foot and save yourself a lot of aggravation. 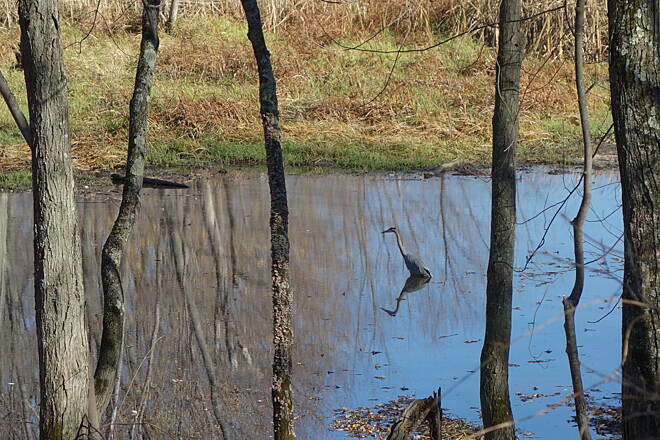 If you want a family friendly trail, we found the Missisquoi Valley Rail-Trail two days later. It has more hills, and the people aren't very hip at all, but the squares we encountered on the Missisquoi yielded the right-of-way, were friendly (instead of tuning out the world, they actually waved, said "hello," and I even saw one gentleman helping a fellow rider patch a flat). It seems these days the further you get from civilization, the more civilized the people are. 2011 brought destruction of the Island Line Colchester Causeway. The trail was closed at the Law Island Bridge and ferry service across the "Cut" was suspended for the 2011 season. Fundraising and lobbying has brought promises of repair starting in June, 2012. See http://www.localmotion.org/programs/islandline/bike-ferry. I will try to post photos of the damage and keep updating this site with progress reports. I just did most of the trail today. It's a nice ride, although the condition of the trail is wanting as you leave the Burlington waterfront area heading north. Lots of holes, lots of puddles (it rained). The signage sort of disappears once the trail drops you across the street from Colchester's Airport Park. (This is a beautiful park, with a snack stand!) Take a left at the stop sign and you will head through a residential area in order to continue toward the causeway. WARNING: You may not want to bring your roadie to the causeway. I was very much looking forward to this along-the-lake part of the path, but was disheartened when seeing it. I know the description says it's crushed gravel, however it's not a hard-packed gravel, and the locals I spoke with told me there have been many a flat tire when riders bring their road bikes down the causeway. I was also told that the gravel gets looser after a mile or so. I decided not to risk it, and was very disappointed. You won't have a problem with a hybrid or mountain bike. We rode the trail on a beautiful sunny day in late August -- unfortunately, it was a weekday so no ferry service available, but even without the crossing and the last bit of the trail, it was a totally worthwhile 24 mile ride (both ways). Even on a Wednesday, the trail was very busy. Started in Oakledge Park in South Burlington. Convenient parking and access to trailhead. Incredible views along the waterfront, and even more incredible lake views once out on the causeway. Trails is paved and very easy riding. Definitely one of the top ten best of all New England. Highly recommended!!! We live in Connecticut but have ridden many rail-trails and bike paths in New England over the past four years. This one takes the cake - our new favorite. 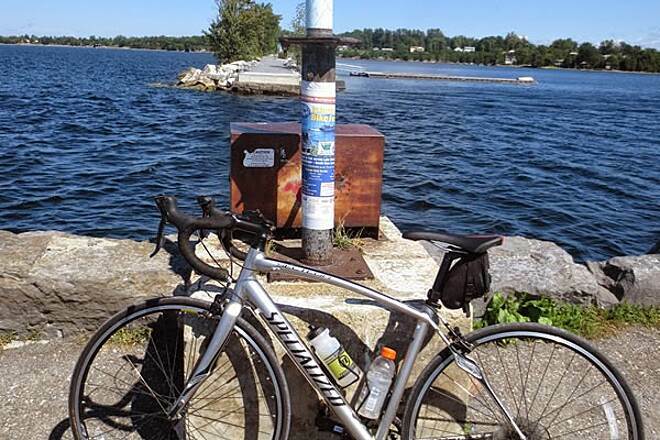 Started at Oakledge Park (south end) and rode the 12.5 miles to the end of Champlain Causeway round trip in 3 hrs. 20min, including one hour of stops to photograph and take in the breathtaking scenery (will post photos later). An awesome ride on a 67 degree sunny day. Thanks, Vermonters and Burlingtonites for making this ride possible. We'll be back. " It is no longer necessary to cross the Winooski River by ferry. 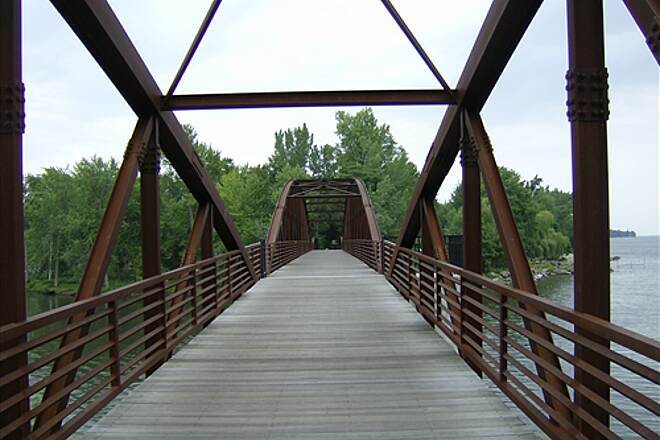 A bridge now connects the Burlington side of the Burlington Bike Trail to the Colchester side across the Winooski River. We rode the trail on a beautiful summer evening. Excellent views of lake and the quality of the trail is fabulous (tar surface most of way). Traffic is a little congested on trail around Burlingon proper. Make sure you go two miles south on trail if you are starting from the downtown. 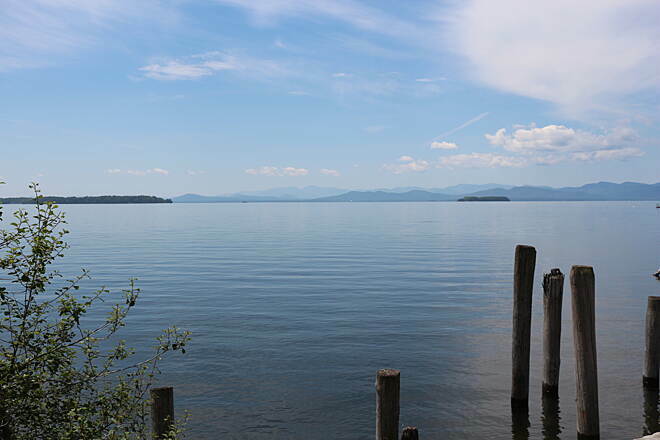 While it passes through a bit of heavy industrial area you end up passing through several parks that offer outstanding views of Lake Champlain and mountains of New York. Going north make sure you save time to travel out the causeway at the end of the trail. This is dirt portion so best to have mountain bike or hybrid bike. The causeway extends about 2 miles into the lake offering excellent lake and mountain views. Great little ride. "In mid-September, we walked part of the trail from Colchester toward Burlington and rode from the new bridge to the end of the causeway. It was windy when we rode but it was a beautiful walk and ride." 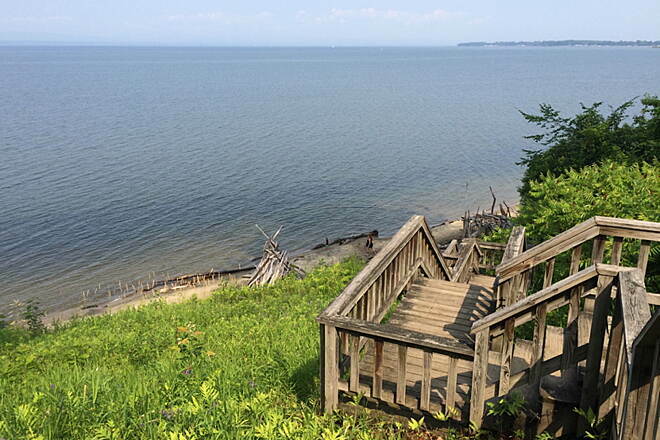 "Twice I have walked the gorgeous section of this trail that goes out into Lake Champlain. I went up to Burlington alone the first time and enjoyed it so much that the following year I took my friend. On Saturday, we rented bikes and rode the major portion of the trail, up to the bike ferry. The next day we walked the magical section out along the causeway, taking pictures by the dozens. From the chunks of marble that make up the causeway, to the lake itself, to the mountains both in Vermont and New York, this three mile section is absolutely unbelievable! What a way to spend half a day! At the end of the day, the city of Burlington is a fun place to be. Lots of good restaurants and good places to walk. 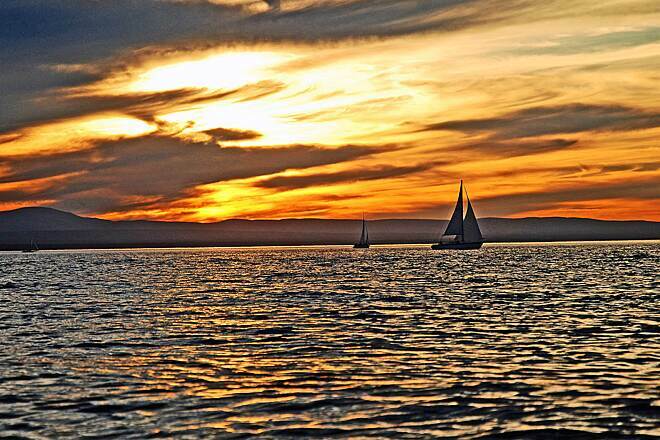 If it is summer, go down to the waterfront, spend time relaxing on the gliders and watch the sunset." "This is one rail-trail I will never forget! I rode from the Burlington Waterfront Bikeway all the way up the Island Line Rail Trail, across Lake Champlain, to what's called ""the cut."" The bike ferry will start taking people across in August. You can see the ""break"" where the trail continues to South Hero Island just a few yards away. 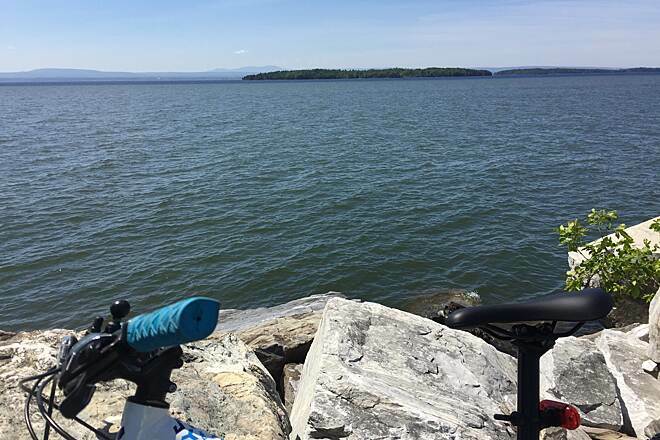 It was an incredible experience due to the uniqueness of the trail, riding three miles out on Lake Champlain, on a man made causeway with plants and trees growing on it. 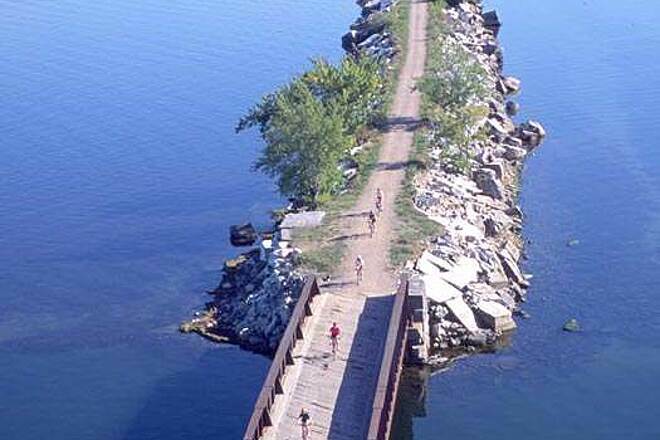 The causeway was built in the early 1900's to transport people by train between New York and Vermont. The views on either side are beautiful, with the lake and mountains as a backdrop, making the ride a once in-a-lifetime experience! Returning, I faced winds, which made riding a challenge, but it all just added to the unique experience! It was not at all crowded. I had plenty of room to ride, breathe in fresh lake air, and enjoy the quiet or the water lapping up against the rocks. There are plenty of huge marble rocks and boulders to sit on and take a break. If you like photography, there were plenty interesting shots with the foliage and trees, with the lake and curve of the trail in the background. This is one trail you must experience to appreciate! 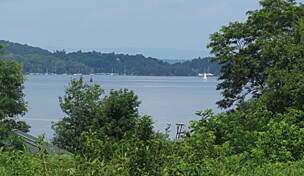 I highly recommend it, as well as a visit to the Lake Champlain Islands of Vermont! There are wonderful vistas and wonderful people all around!" "I can't wait to return from New Jersey this summer to ride this trail again after first doing it two years ago. A newly built bridge over the Winooski River will now replace the bike ferry starting June 2004, although the ferry ride was neat. The three mile causeway section at the northern end (making a continuous 13 mile trail) must be the bicycle trail equivalent of the Chesapeake Bay Bridge. 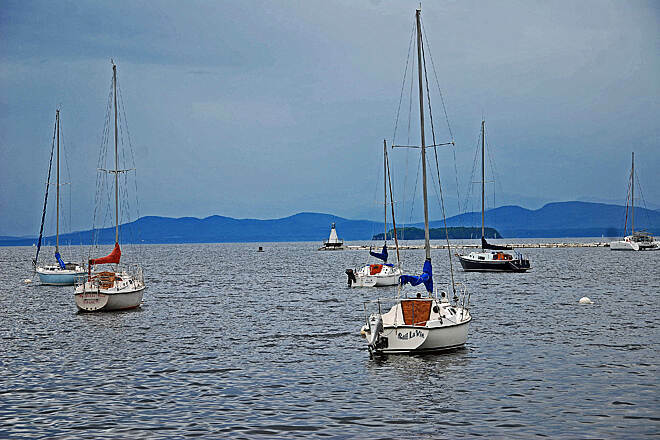 There are beautiful vews across Lake Champlain to the Adirondacks. This is one of the truly great rail-trails of America." We did this trail with our girls ages 5 & 9 and it was beautiful! 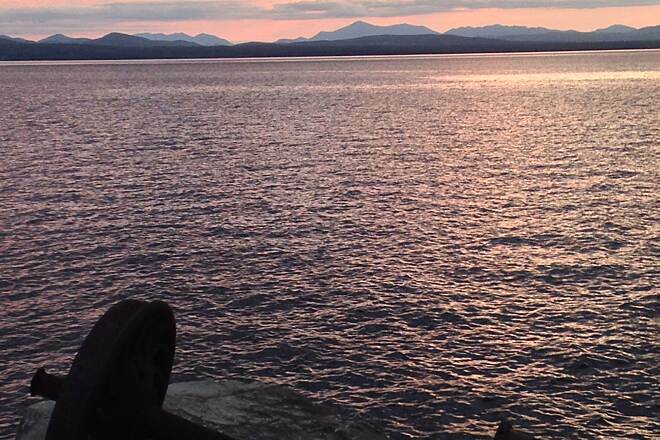 The views of Lake Champlain were spectacular! The ferry boat ride (about 7 miles into the trail) takes you across a stretch of water only 50 yards wide but it made the trip more interesting for the kids. 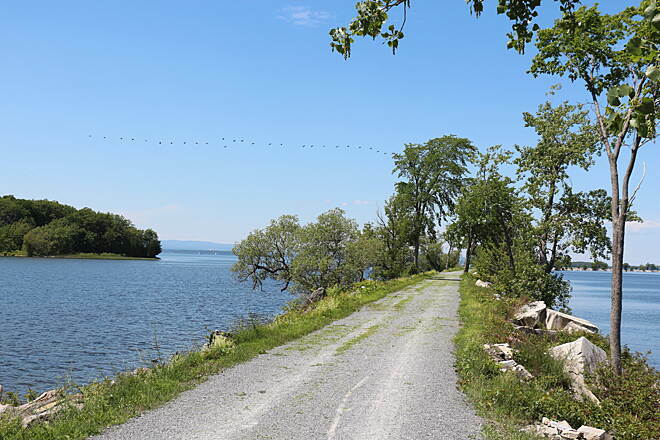 The last 3 miles is a causeway (an old railroad bed) that was built out into Lake Champlain. The lake was filled with sailboats. It's definitely a trip we would do again! About 26 miles round trip. If you go don't miss the red boathouse near the ferry for snacks. It is truly one of a kind! "We spent 2+ great years in Vermont and one of our biggest pleasures was riding the Burlington Bike Path. I remember thinking dozens of times ""this is the kind of thing that makes a city LIVEABLE."" The views are stunning. We used to ride from Oak Ledge up to the north beach, then swim, then ride back. 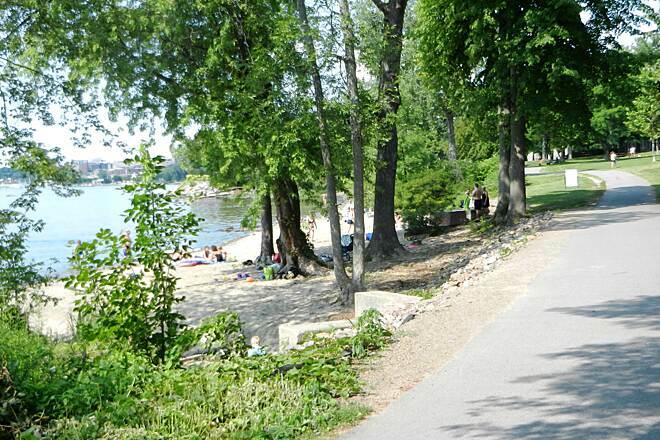 I can't recommend this bike path enough." "This truly is the ""holy grail"" of rails-to-trails. I'm originally from VT, but now live in Florida, where there are many rails-to-trails projects. None of them hold a candle to this ride. It is a ride, and an experience that you find yourself saying or thinking, ""I don't want this to end"". It is that beautiful. If you're in the area, do yourself a big favor and ride this trail. It is ""very"" unique. Oh yeah, bring your camera! JB"